SEGA and Creative Assembly have opened a joint new state-of-the-art studio in Sofia, Bulgaria. This follows the acquisition of Creative Assembly Sofia in 2017 and the future transition of SEGA Europe’s QA services to Sofia. “Our new studio is designed to promote creativity and collaboration, providing ample room to grow our talented Sofia team, and create more world-class gaming experiences. “Extending the SEGA operation into Bulgaria serves to add further depth to our already rich tapestry of development talent. SEGA has studio presence in Japan, the UK, the US, Canada, France, and now Bulgaria, meaning we are working with a truly global community of developers. Creative Assembly is continuing to grow their Bulgarian-based world-class team and have a number of open vacancies available. 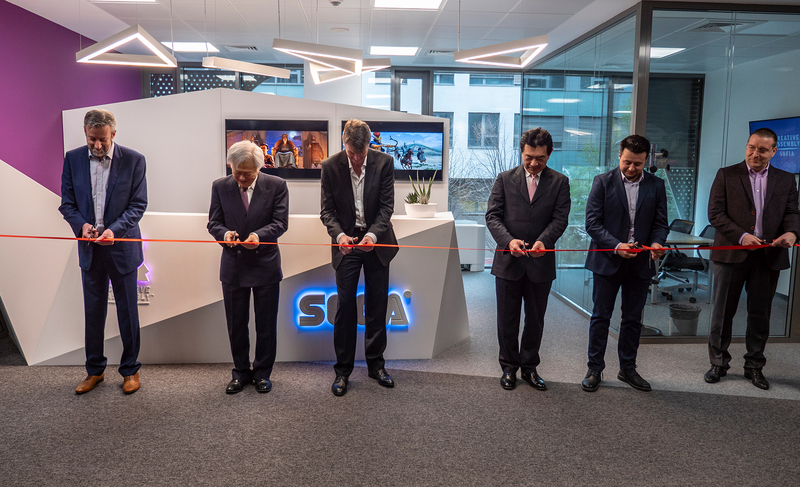 Pictured above from left cutting the ribbon at the official opening event held on Tuesday 10 April 2019: Tim Heaton (Creative Assembly Studio Director and EVP of SEGA Studios in the West), Masato Watanabe (Ambassador of Japan in Bulgaria), Gary Dale (COO and President of SEGA Europe), Kenji Matsubara (President and COO of SEGA Games), Georgi Dinchev (Creative Assembly Sofia Studio Head), and Doncho Angelov (Director of Development at SEGA).